In a quiet bay on the South Shore of St. Thomas, the sun sets every night over the Caribbean Sea in a burst of color. On the edge of the beach at the water’s edge, the waves swim between the rocks on the shore. No one is on the beach save a bride and groom and a minister in a flowing black gown. As the sun’s fleeting rays fade, the minister announces, “I now pronounce you husband and wife”. 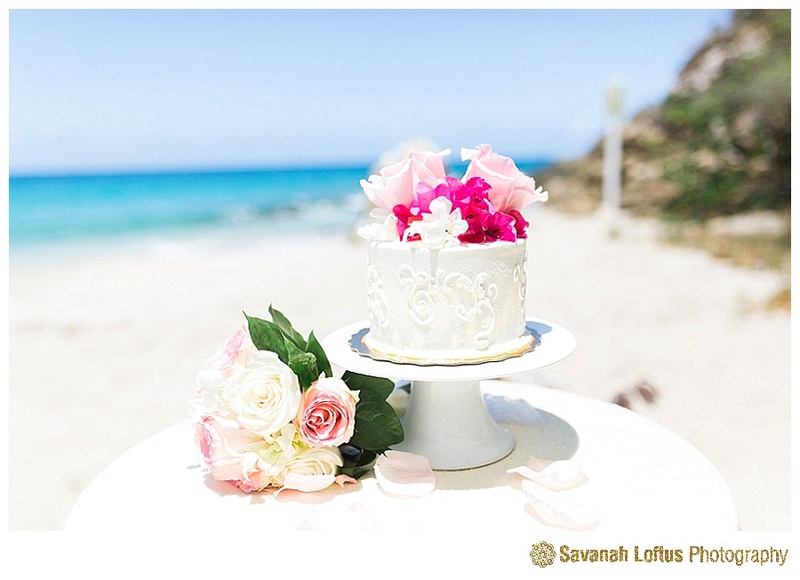 If your dream wedding is an intimate sunset wedding on the beach, Limetree Beach is where you want to be. Very few beaches on St. Thomas face due west. And none of the beaches quite match the views of Limetree when twilight slips ashore. The beach is within a small, sleepy resort. Which means there are amenities…like ice makers for champagne buckets. 🙂 There are also bathrooms for changing and primping. The beach is small, but on the far right of the beach the sand and water give way to cliffs and large boulders. Making for some of the most beautiful views and photographs. There is a site fee of $100 for weddings. Limetree is easily accessible from any part of the island. A taxi stand assures that transportation is available if you don’t have a rental car. 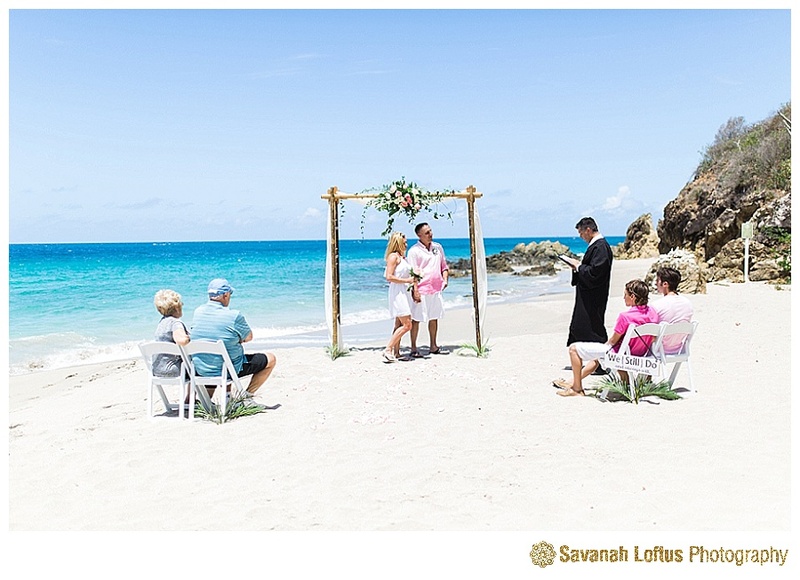 There is a small bar off the beach if you want to relax with a cocktail after your wedding. 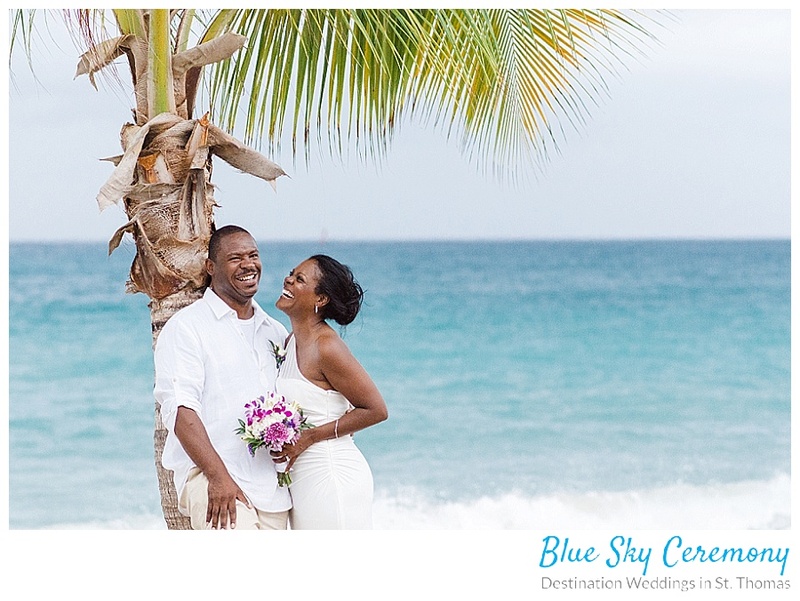 So, if you are looking for small, elegant, beautiful and quiet, Limetree Beach is ideal spot for your beach wedding.